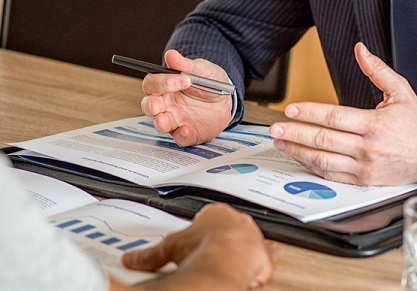 With the recent emphasis CRM2 reporting, advisors are getting to appreciate the importance of discussing how much clients paid and how much they made in their investment accounts. But that doesn’t mean they should forget an even more basic question which is: why are they investing? In its latest study titled Finance in Retirement: New Challenges, New Solutions, Merril Lynch identified different challenges and trends experienced by wealth management clients, according to Financial Advisor IQ. One key finding from the survey, which polled 4,854 retirees and pre-retirees, was that 88% of clients lean toward “peace of mind” rather than “wealth accumulation” in retirement. However, the study reminds readers that financial peace of mind can mean “different things to different people.” Slightly more than half of those surveyed (57%) see it as living “comfortably” within their own means. Other answers included the ability to maintain flexible lifestyles, confidence in dealing with unforeseen expenses, and teaching other family members about their finances. “If you ask 1,000 different people what will give them peace of mind in retirement, you’re probably going to get 1,000 different answers,” Merrill advisor Michael Garcia told the publication. He went on to say that the research is a good starting point for advisors to persuade clients to “change their mindsets” early in the wealth accumulation stage. Garcia tackles this by keeping a “life file” on each of his clients, where he notes the interests, goals, and expectations that they share with him in daily conversation. He can later refer to each client’s file, which can help identify the “peace of mind building blocks” for their retirement. Lea Sciabarrasi, whose Boston-based firm Crestwood Advisors manages over US$1.3 billion, recommends that advisors focus on defining moments rather than temporary “dollars-and-cents” issues. Working on a list of individual retirement goals with clients can also jumpstart conversations with pre-retirees. “[D]eveloping a planning framework built around living more fulfilled lives… helps my clients to feel less overwhelmed as they transition out of the workforce,” she said. According to Raymond James advisor Kjersten Lazar, advisors at their firm call themselves “mother hens”: They get involved at every point in their clients’ lives concerning money. Clients know that during times of illness, weddings, anniversaries, and other key points, her team will get in touch.